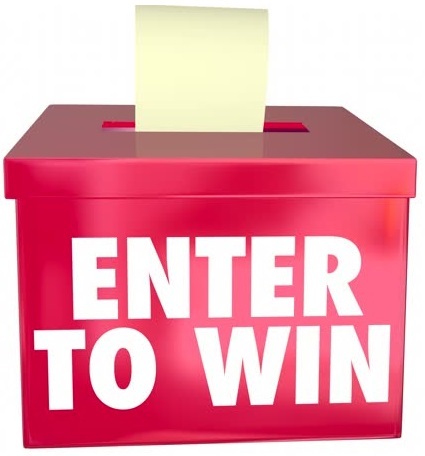 How do you fancy winning a first prize of €1,500 just after Christmas??? We have prizes totaling €3,100 on offer. All you need to do is take a chance and play “Pot Luck”. All you do is pick a ticket from the Seller’s envelope, pay the amount on that ticket which could be between €0.01 to €20 after all its Pot Luck. Your ticket is then entered in the Draw on 20th January 2018. We are fundraising to ensure the development of the Club. 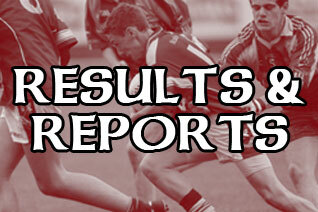 We are a growing club with significant numbers at underage level and we need to plan for the future. 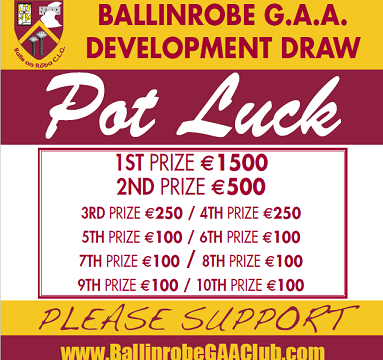 So please support us and get your Pot Luck tickets. 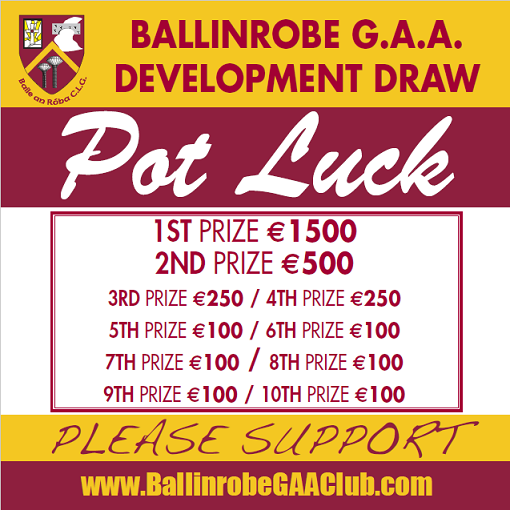 Pot Luck tickets are on sale from Club Officers, Players, Bord na nóg, Ladies and Robe Rocket Officers. 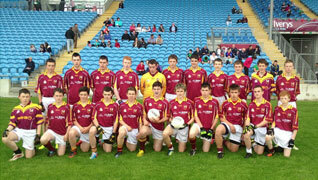 For more information contact Declan Corcoran, Chairman 0876441362 or John Gilrane, Secretary 0876996135.